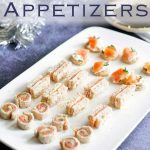 Easy Smoked Salmon Appetizers that are super simple to make with supermarket ingredients, but the small bites add a wow factor to any occasion. Make all three from your base ingredients or pick one and pile your platter high with them. 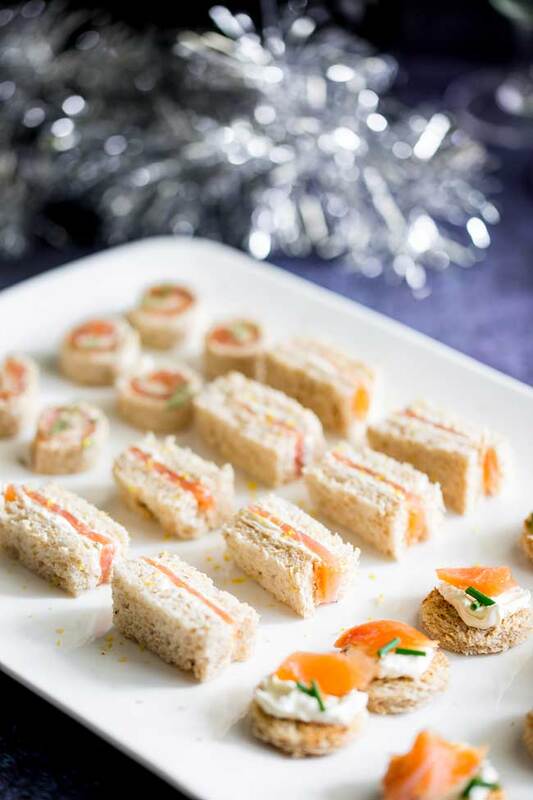 Whatever you choose to do these smoked salmon appetizers are perfect for parties! At this time of year, when everybody is trying to do their shopping and life is super busy, having a quick recipe you can whip up for a party or gathering is vital. These 3 easy smoked salmon appetizers can all be made with the same 3 base ingredients, then it is just a case of changing up the seasonings. 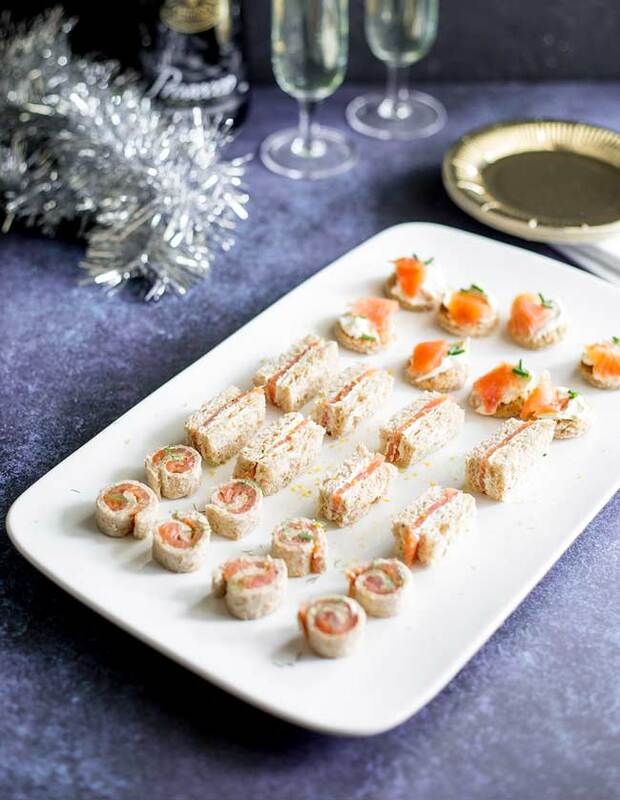 Some cream cheese, smoked salmon and a loaf of sliced brown bread and you can create a platter of easy smoked salmon appetizers that will go down a treat at a party or before your holiday meal. I have given suggested seasonings in the recipes, but there are so many variations you can mix it up however you like. For the ones pictured I used fresh dill, chives and lemon and black pepper. for an unusual twist a little orange zest and a pinch of cinnamon. What is more if you keep a block of cream cheese in the fridge and some smoked salmon and bread in the freezer, you can make these anytime. I don’t recommend freezing cream cheese, the water content means when it defrosts it has a really grainy texture, which doesn’t work here. Mmmmmm Cheesecake….must post my favorite cheesecake recipe up!! 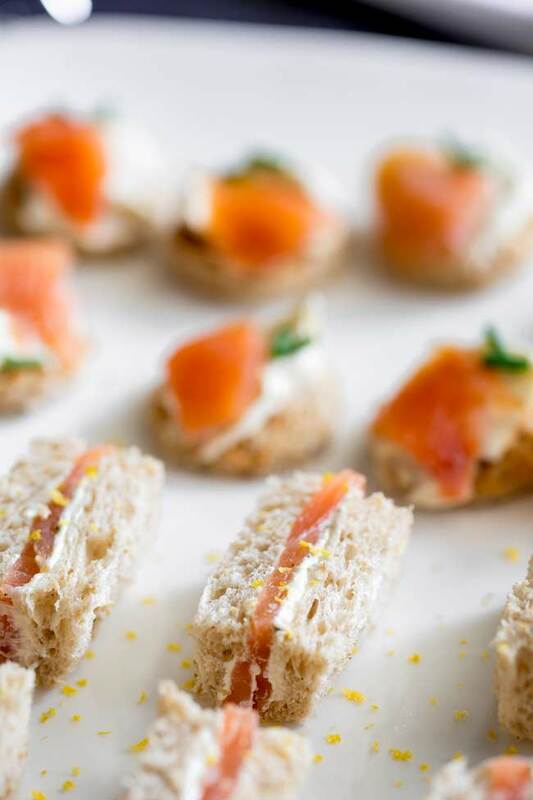 But for now, lets drool over these easy smoked salmon appetizers. Looking at the platter we have smoked salmon and dill pinwheels, smoked salmon and lemon cream cheese sandwich bites and some smoked salmon and chive toast bites. But the herbs and seasonings are all adaptable and changeable. When it comes to party platters like this, the presentation is so important. Cutting the sandwiches into bite sized fingers makes them look elegant. Again the toasts bites, spending a little bit of time and using a cookie cutter to cut out small rounds takes toast and makes it stylish and more refined. And these little touches don’t take long, but they can make such a difference. 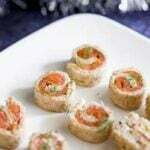 If you love these recipes for 3 Easy Smoked Salmon Appetizers why not pin them for later. 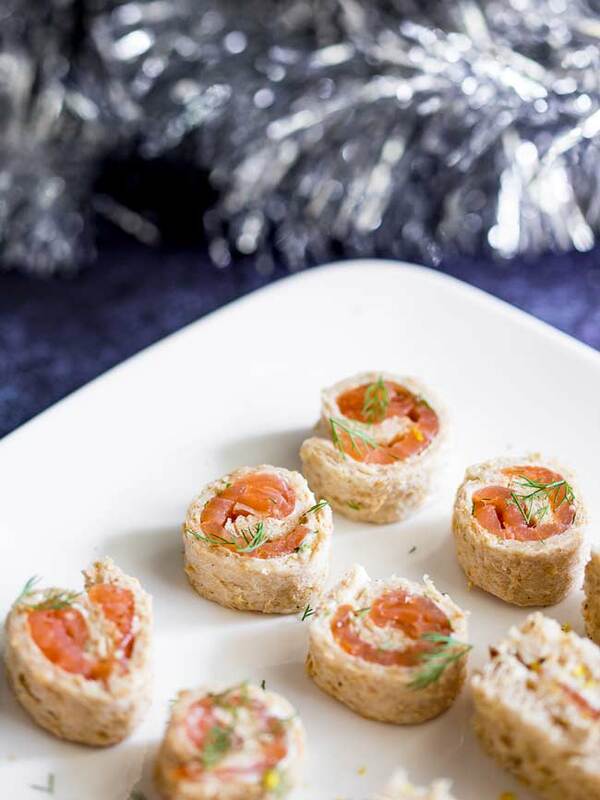 3 Easy Smoked Salmon Appetizers that are super simple to make with supermarket ingredients, but the small bites add a wow factor to any occasion. Make all three from your base ingredients or pick one and pile your platter high with them. 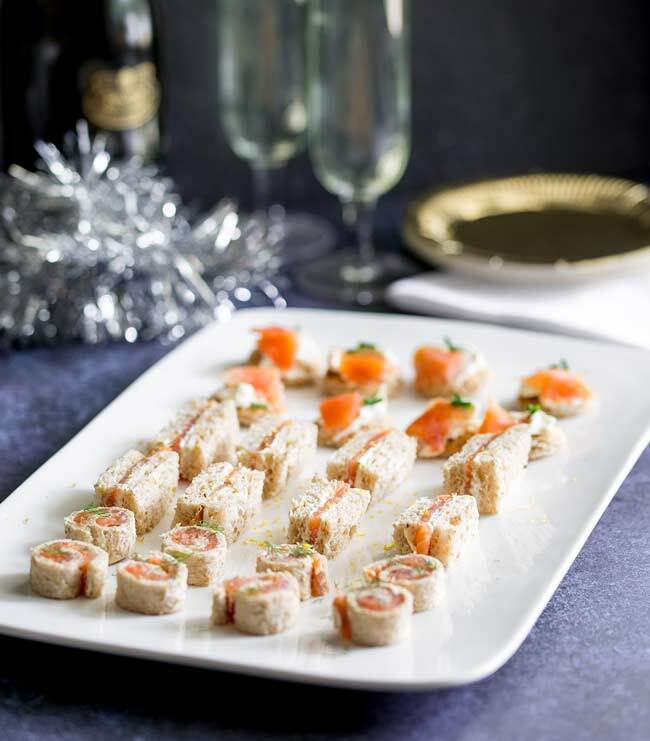 Whatever you choose to do these smoked salmon appetizers are perfect for parties! Spread the slices of bread with an even layer of cream cheese. Sprinkle over the lemon zest and black pepper. Add a single layer of smoked salmon to 3 of the slices of bread. Sandwich your bread, wrap tightly in cling film and refrigerate until needed. To serve, use a sharp knife to cut each sandwich into 3 long strips and each strip in half. Arrange on a platter and sprinkle with a little extra lemon zest (or your chosen herb). Use a rolling pin to roll out the bread until it very thin. Spread the slices of bread with a thin even layer of cream cheese. Sprinkle over the chopped herbs. Add a single layer of smoked salmon. Roll each slice of bread up into a sausage. Wrap in cling film and refrigerate until needed. To serve use a sharp knife to cut each roll into 5 slices. Arrange on a platter and sprinkle with a little extra dill (or your chosen herb). Place the bread in the toaster and toast until crisp. Add a teaspoon (or so) of cream cheese to each round. Top the rounds with some smoked salmon and a sprinkling of chopped chive (or your chosen herb). 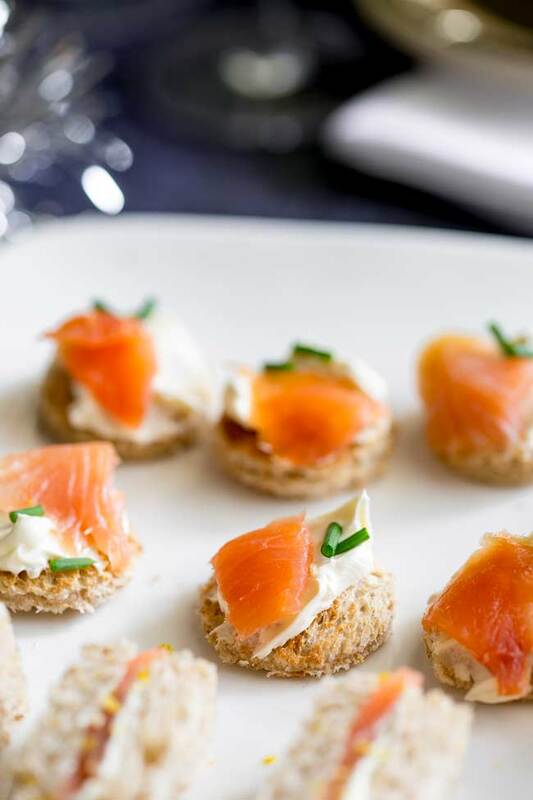 If you love food why not subscribe to my newsletter, I will drop you an email every now and then, just to say hi and send you a couple of recipes think you might love, like these 3 Easy Smoked Salmon Appetizers. These look absolutely delish!! My son is allergic to dill, do you have any suggestions about what herbs to use instead? Instead of the dill you could replace it with chives or fresh tarragon, I think for my kids chives would probably be my choice, as tarragon is a little stronger. Or you could just use some lemon zest instead. They all look so elegant and delicious! I can’t wait for our next party to try one (or maybe all!). I recommend making them all 😉 although I find the sandwich ones always go first…. I am not a fan of Salmon, but I want to try the way you cook salmon, I would try the first one, thanks. They are such fun ways to enjoy salmon. Do you publish a book I could buy? 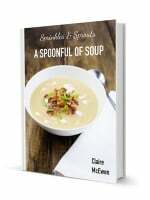 I have a free soup cookbook, that you can get by subscribing to my newsletter. This is perfect for my Scandinavian guests that I’m entertaining! They loved it! Super fancy presentation, but so easy. Just my kind of recipe. Thank you Kristen, I made these at Christmas and that is exactly what I was going for. Easy to get the ingredients, easy to make but impressive to serve to guest.